It was while waiting at a bus stop that I first noticed these new Danone Light & Free yogurts. I don’t usually pay much attention to adverts, but the huge poster billboard was hard to miss. 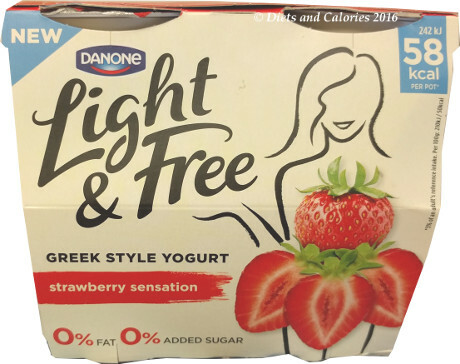 With zero percent fat and zero percent added sugar, these new Danone Greek-Style fruit yogurts claim they contain ‘over 30% fewer calories than most full fat fruit yogurts’. Naturally, without the fat and sugar, they're not calorific, with the average pot containing around 58 calories. So what’s actually in them and, more to the point, what do they taste like? 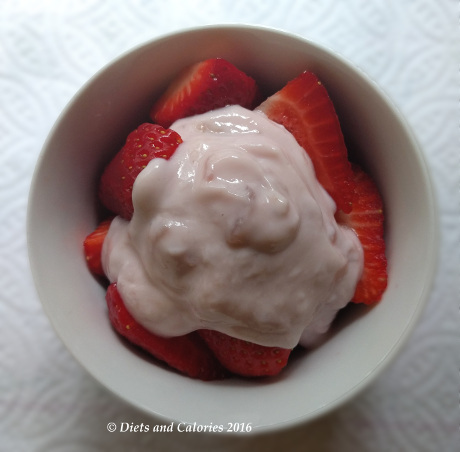 Greek yogurt is popular right now, so there are plenty of different brands to choose from. Full fat authentic Greek yogurt is naturally thick (the whey is strained off), high in saturated fat and calories. 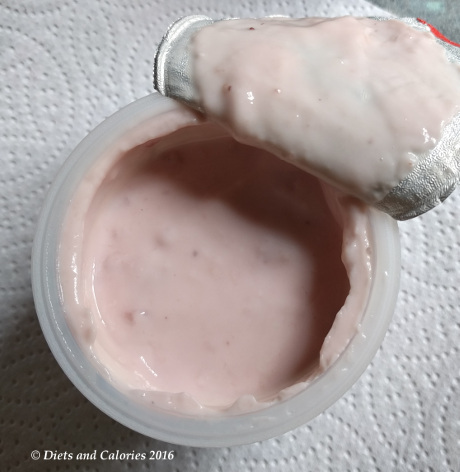 But it does have the added benefit of the live bacteria which is so good for a healthy gut, as well as being high in protein and low in sugar. However, with around 130 calories per 100g, it’s easy to clock up the calories while losing yourself in the taste experience. 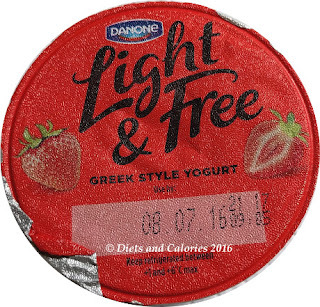 There are many other Greek-style fat free yogurts around but they all (as far as I’ve noticed) have added sugar. This applies the fruit varieties. This of course brings up the calories. 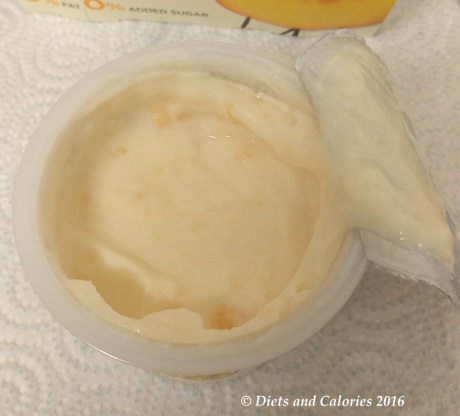 As I’ve learned from experience over the years, if it’s low fat and has no sugar AND is low in calories, it’ll have sweeteners in it. Danone’s Light & Free Greek Style yogurts are sweetened with sucralose and acesulfame K (a common combination), but I’d be happier if it was Stevia. 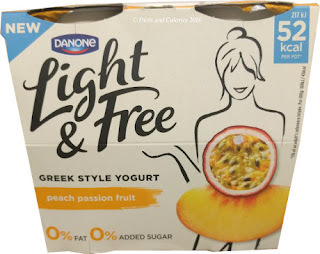 Peach Passion Fruit (52 calories); Strawberry Sensation (58 calories); Raspberry Razzle (61 calories); Blueberry Burst (58 calories) and Cherry Charmer (59 calories). 6 out of 10 for alliteration! 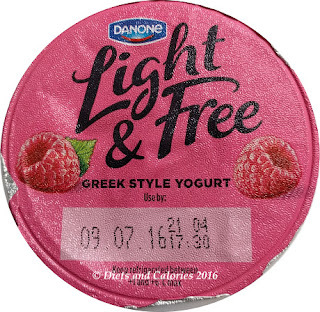 They’re sold in packs of four pots, each pot is 115g. 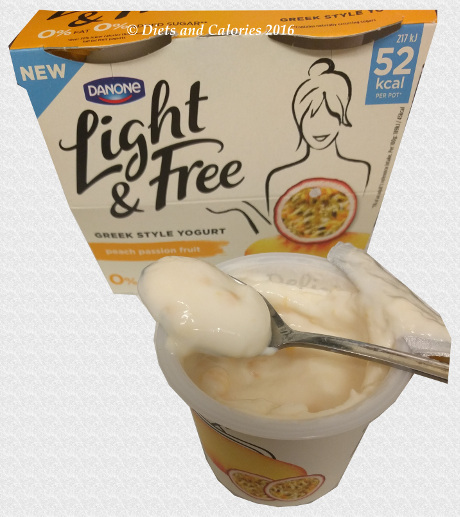 Initially I wasn’t going to buy these because I’m very happy with my Onken Natural set yogurt to which I add my own fresh fruit, but I also love Danone’s Activia Raspberry yogurts, gorgeous with fresh raspberries. Anyway, these were on offer, 2 packs for £4.00 so I purchased the Peach, Raspberry and Strawberry varieties for reviewing purposes. 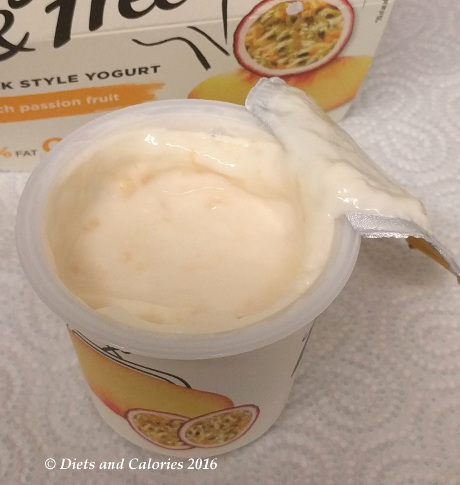 It’s quite a small sized pot but just right for a guilt free snack. The peach variety has lots of little pieces of fruit and is very thick and creamy as promised. So too is the Raspberry, with a good raspberry flavour, but I still prefer the Activia version. I wasn’t expecting much from the Strawberry, as I didn’t like the Activia 0% strawberry. However, this is different. 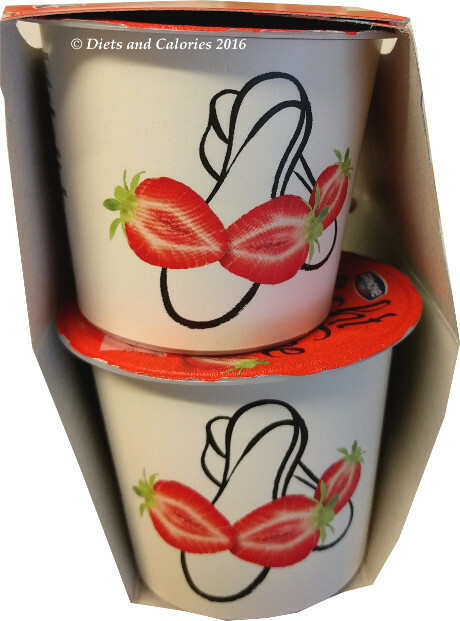 With big juicy pieces of strawberry, this yogurt has a perfectly authentic strawberry flavour, no nasty chemical taste at all. In fact, I enjoyed this so much I’ve ordered more. 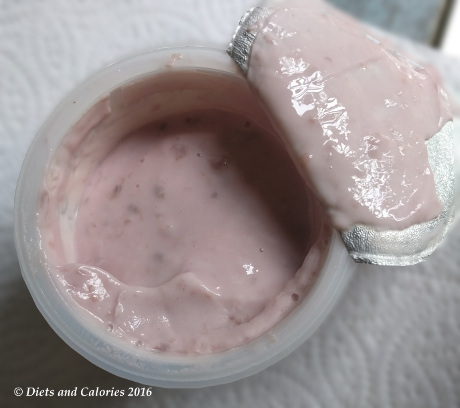 I like having these in the fridge as they come in handy for times when I just want a small sweet treat that’s not going to add massively to my calorie intake. 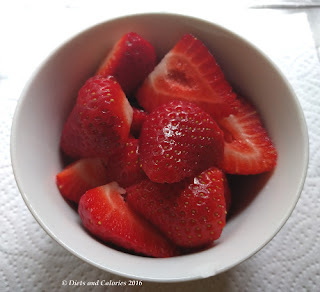 I also love using it as an alternative to cream and dollop on a couple of spoons to a bowl of fresh strawberries. Yum! I definitely think the other two flavours are worth trying out. The only negatives I feel are the use of artificial sweeteners and the lack of bio cultures that true Greek yogurt has. Danone’s Light & Free Greek Style Yogurts are available in most larger supermarkets as well as Ocado online. Nutrition per 100ml (Peach): 45 Calories, 0.1g fat, less than 0.1g saturated fat, 6.3g carbs, 5.8g sugars, less than 0.1g fibre, 4.7g protein, 0.17g salt. 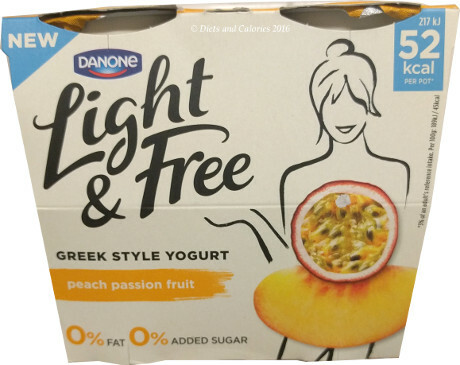 Ingredients (Peach): Yogurt (Milk), Peach (7%), Passion Fruit (1%), Potato and Tapioca Starch, Modified Maize Starch, Acidity Regulators (Sodium Citrate, Lactic Acid), Stabilisers (Carrageenan), Sweeteners (Acesulfame K, Sucralose), Flavourings, Colour (Paprika Extract), Vitamin D.